It is a 42mm, polished stainless steel case , automatic, and big date indicator. 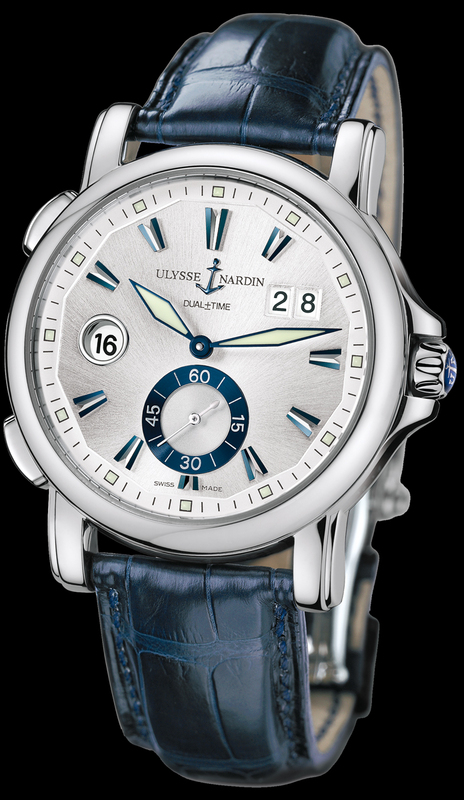 This watch displays two different time zones at all times allowing you to keep track of your home time with ease, and features the Ulysse Nardin pattented quick set forward and backward function. It features a glass exhibition case back with the visible rotor engraved with the Ulysse Name and anchor logo. It is available on a dark blue elegant crocodile leather strap with folding buckle.